The City of Wanneroo is launching a colourful community book celebrating local families who have embraced the It’s All About Play program. Together We Play is a children’s book featuring a collection of stories and photographs of families who regularly attend It’s All About Play (IAAP) sessions at the Girrawheen library. Following the launch, the book will be available for loan from City of Wanneroo libraries. IAAP is a free, multi-sensory, hands-on program where families with children up to five years of age can play and learn together in an engaging environment. The program, which is a key initiative of the City of Wanneroo’s Early Childhood Strategic Plan, highlights the importance of developing support frameworks and activities to ensure all children in the City reach their full potential. IAAP is held at the City’s Girrawheen, Clarkson, Wanneroo, Yanchep and Alkimos libraries each week. Mayor Tracey Roberts said libraries were the ideal places for parents, carers and children to learn, play, build, read, sing and create. “When the City of Wanneroo launched It’s All About Play at Wanneroo library in 2016, we had no idea how popular it would become,” Mayor Roberts said. The Together We Play book will be launched at an event at the Girrawheen library on Tuesday 4 September attended by the families who appear in the book. 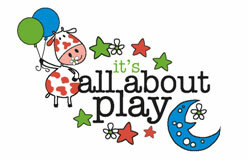 Mayor Tracey Roberts will read Together We Play during the event.